Palestinian Authority President Mahmoud Abbas sent a defiant message to Israel’s leadership and US mediators Saturday, telling cheering supporters that the Palestinians “won’t kneel” and won’t drop demands for a capital in East Jerusalem. Abbas’ unusually fiery speech highlighted the wide gaps between him and Israeli Prime Minister Benjamin Netanyahu on the outlines of a peace deal. It also raised new doubts about the chances of US Secretary of State John Kerry to bridge those gaps in coming weeks and come up with a framework for an agreement. Abbas adopted tough positions in the wide-ranging speech, saying that “there will be no peace” without a Palestinian capital in east Jerusalem and that he would not recognize Israel as a Jewish state. He also suggested he would not continue negotiations beyond a US-set target date of the end of April, and instead will resume his quest for broader international recognition of a state of Palestine by the United Nations and its various agencies. Abbas and Netanyahu were far part apart in their positions when Kerry pressured them to resume talks in late July after a five-year break. It appears little progress has been made since then. Kerry is expected to present his bridging proposals for a framework agreement in coming weeks. He was to meet this week with representatives of the Arab League, presumably to win their backing for US proposals, but it’s not clear when he would formally present his ideas to Abbas and Netanyahu. Both leaders face tough decisions on whether to accept the US ideas and alienate their base or defy Kerry and risk being blamed for the collapse of the negotiations. A US plan is expected to define Israel’s pre-1967 war frontier as the starting point for negotiations about the border between Israel and a future Palestinian state, with some adjustments. The Palestinians want a state in the West Bank, Gaza and east Jerusalem, territories Israel captured in 1967, but are willing to swap some land to enable Israel to keep some of the dozens of Jewish settlements it has built on war-won land. Netanyahu has not accepted the 1967 frontier as a baseline, at least in public. In recent days, Israeli media have quoted him as telling members of his Likud Party that he would not accept an inclusion of Jerusalem in Kerry’s proposals. Abbas aides have said they fear Kerry will settle for a vague reference to Palestinian “aspirations” in the city, without referring to east Jerusalem as a capital. On Saturday, Abbas spoke to several hundred Palestinians activists from Jerusalem whom he had invited to his headquarters in the West Bank city of Ramallah. 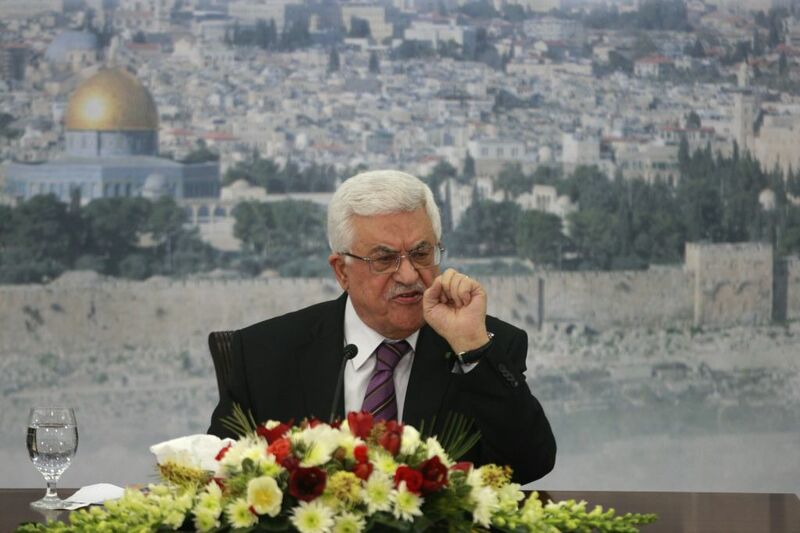 The crowd whistled, chanted and clapped as the normally low-key Abbas, widely known as Abu Mazen, struck a tough tone. “Without east Jerusalem as a capital of the state of Palestine, there will be no peace between us and Israel,” Abbas said. 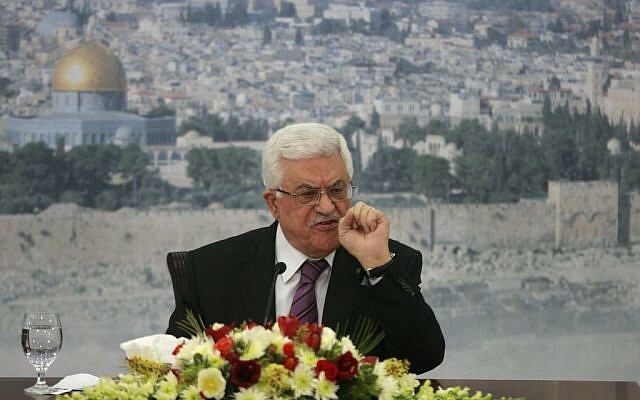 Abbas also reiterated that he will not recognize Israel as the homeland of the Jewish people. Netanyahu has raised such a demand, and there is growing expectation that it will be included in Kerry’s proposal. Abbas has argued that the Palestinians have already recognized the state of Israel and that there is no need to do more. He has also said recognizing Israel as a Jewish state would harm the rights of Israel’s nearly 2 million Arab citizens. Israel says it needs such recognition as proof the Palestinians are willing to end the conflict between the two peoples once and for all.